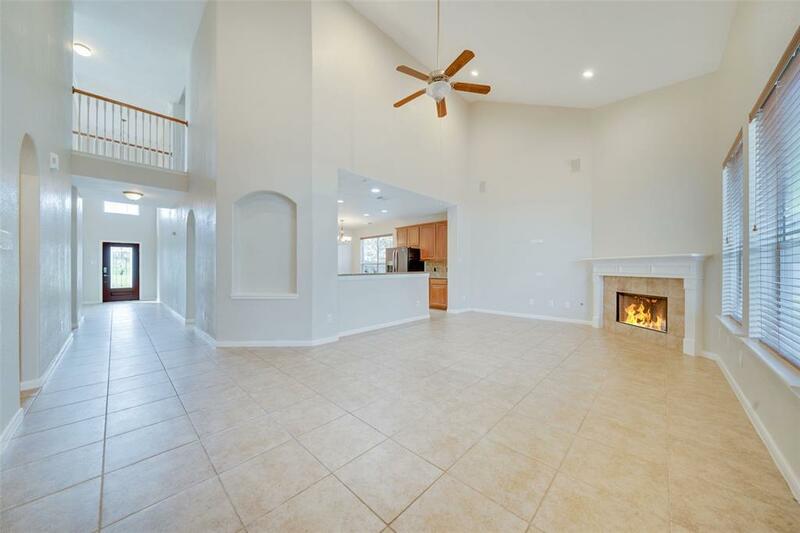 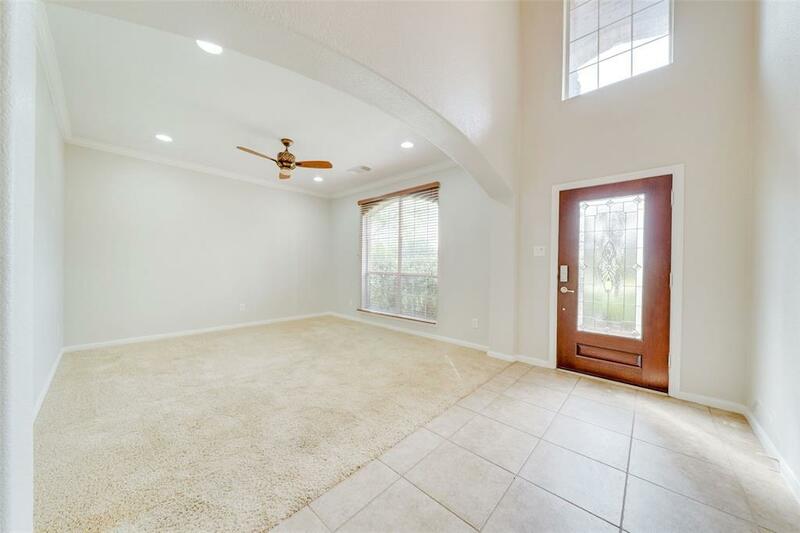 A lovely two story home located in a cul-de-sac and on a large corner lot featuring 4 bedrooms, 2.5 baths, and a 2-car attached garage! 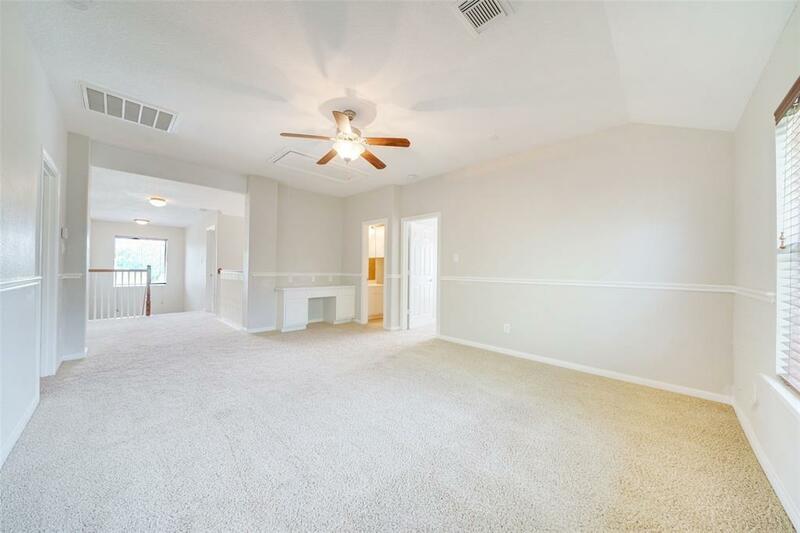 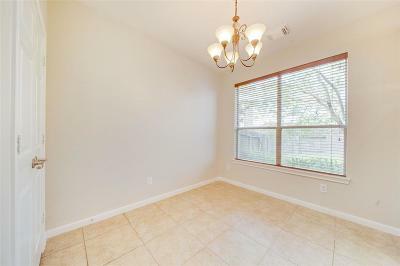 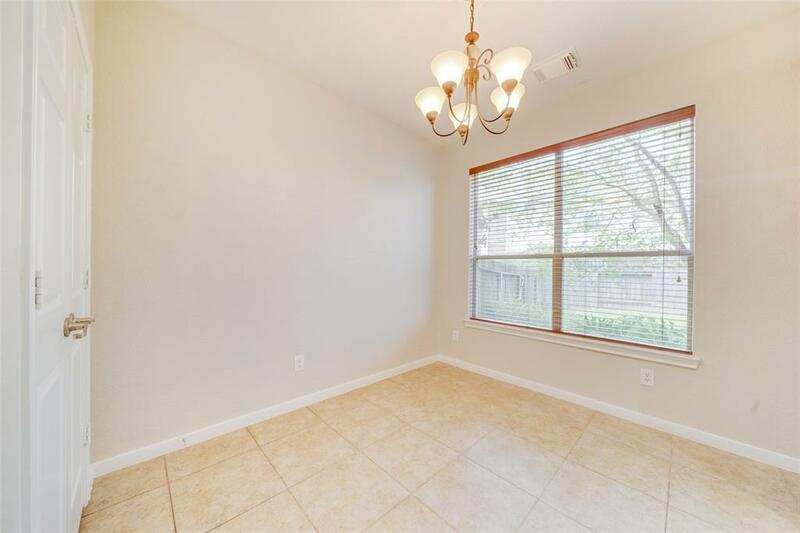 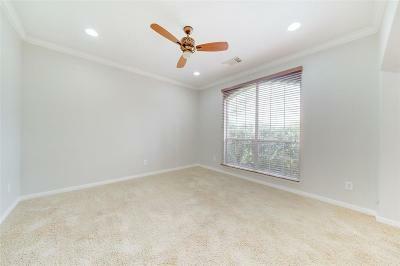 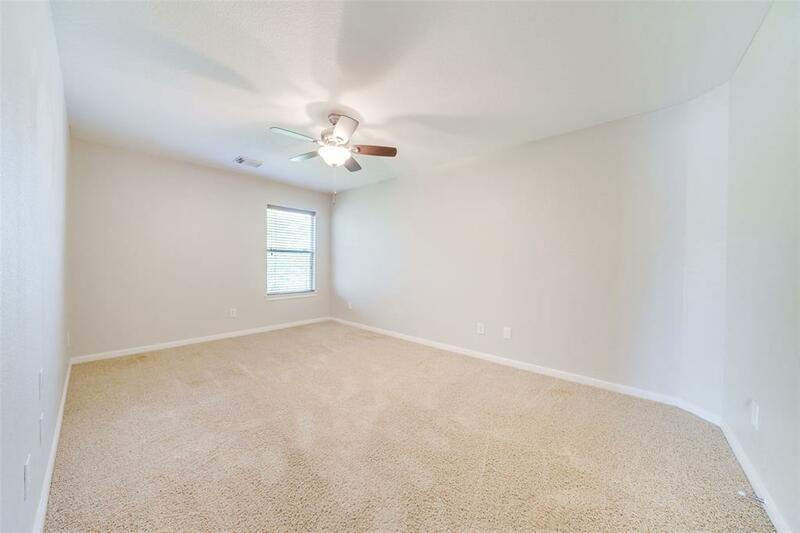 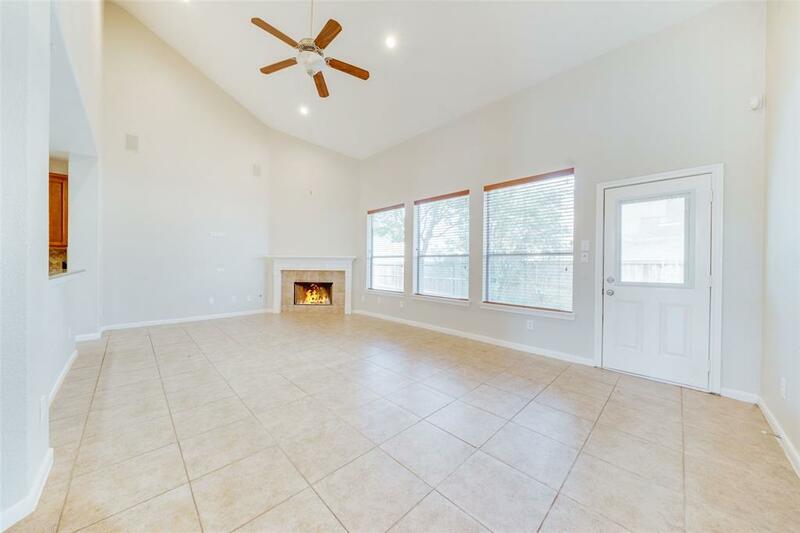 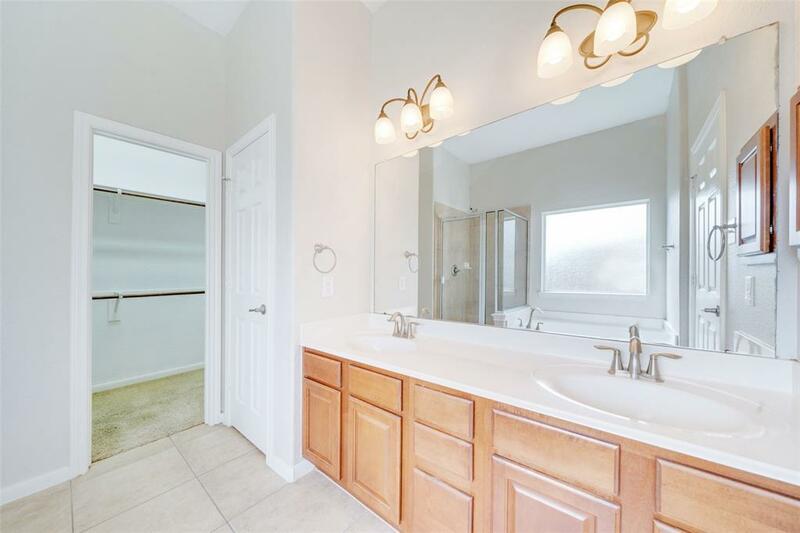 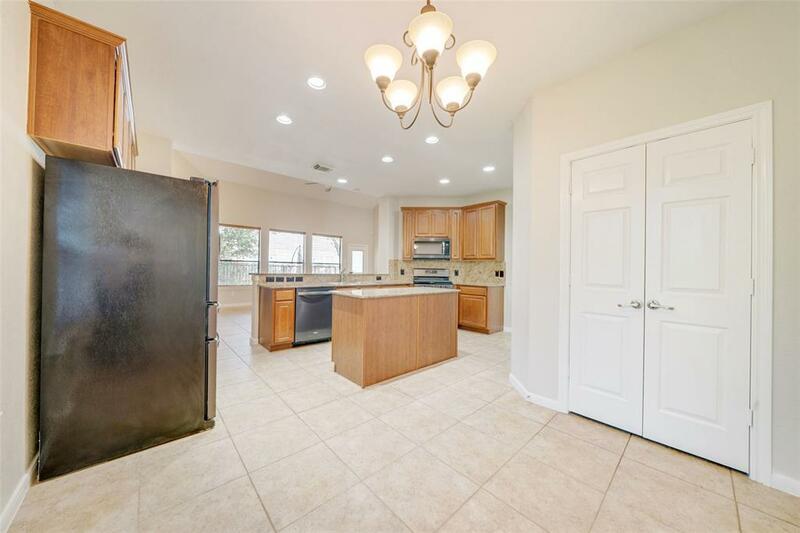 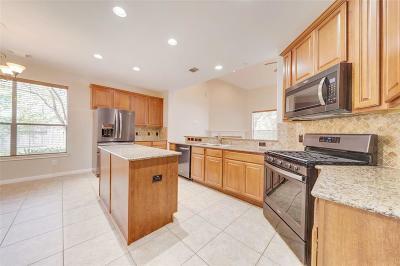 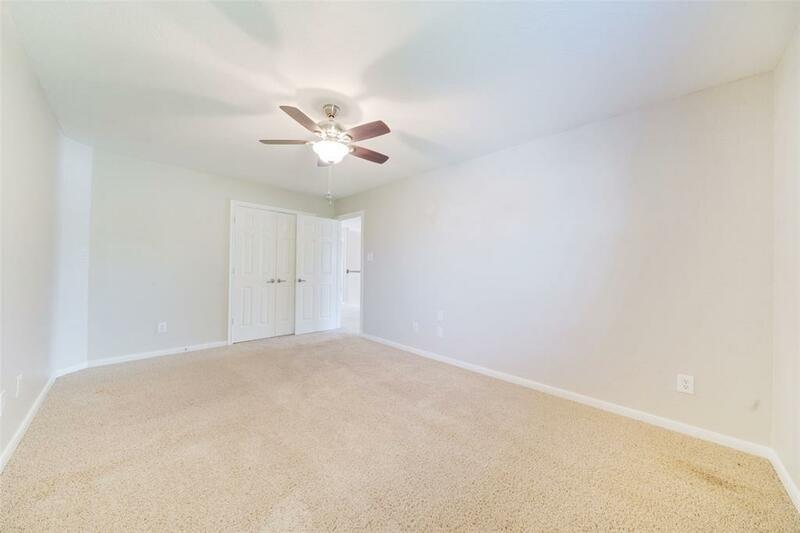 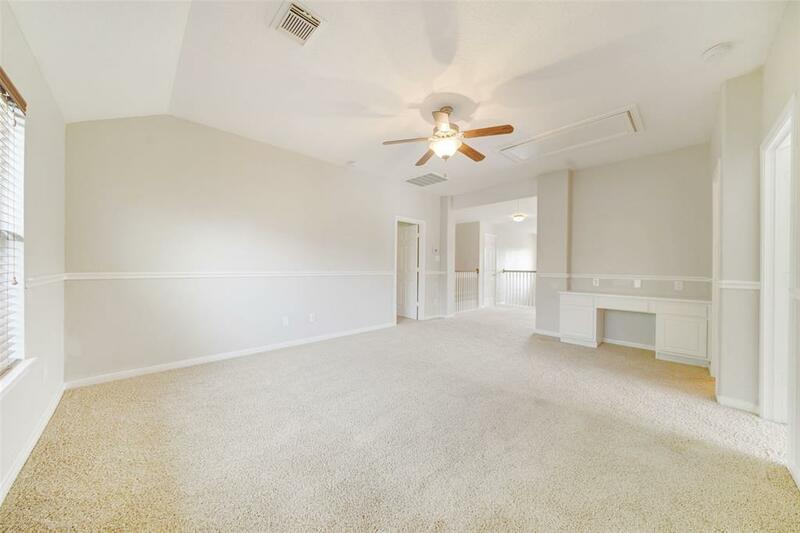 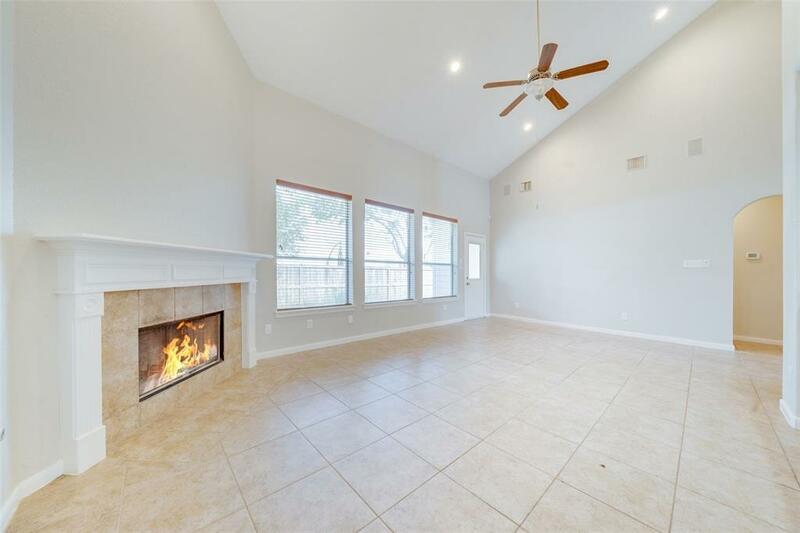 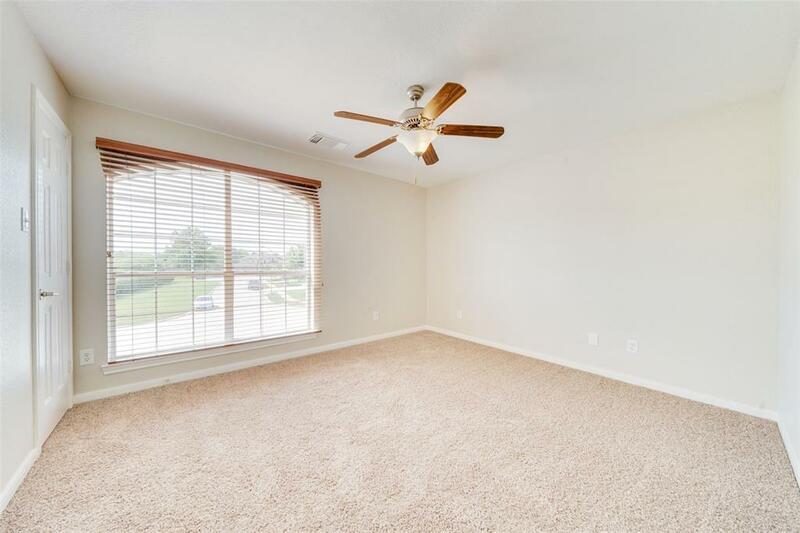 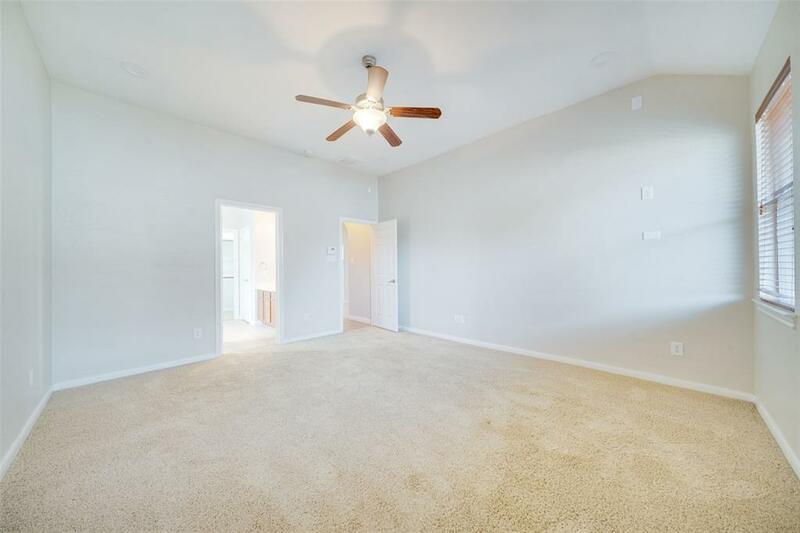 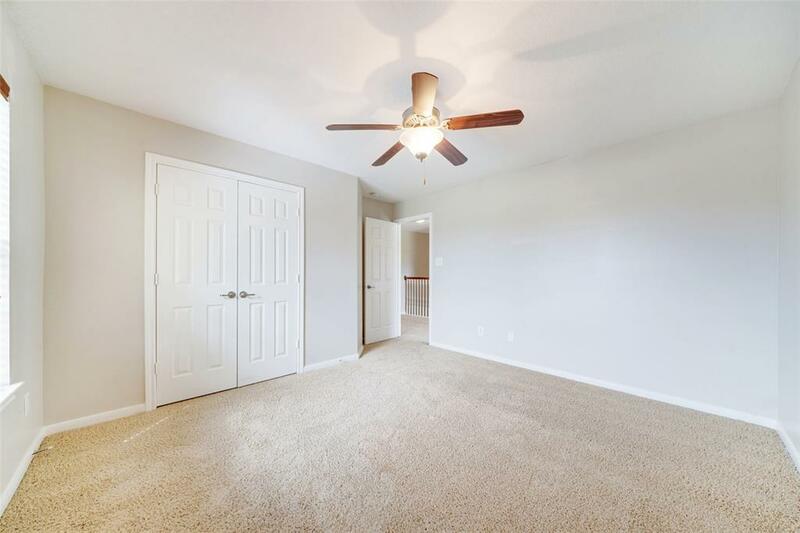 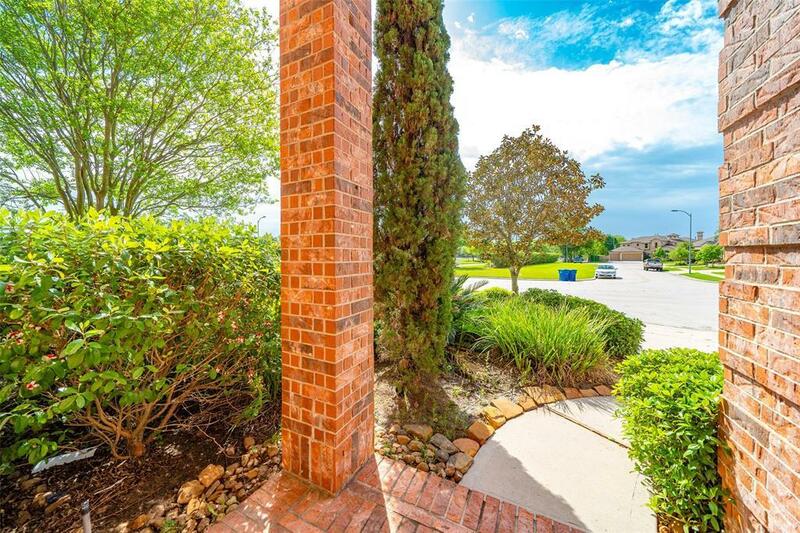 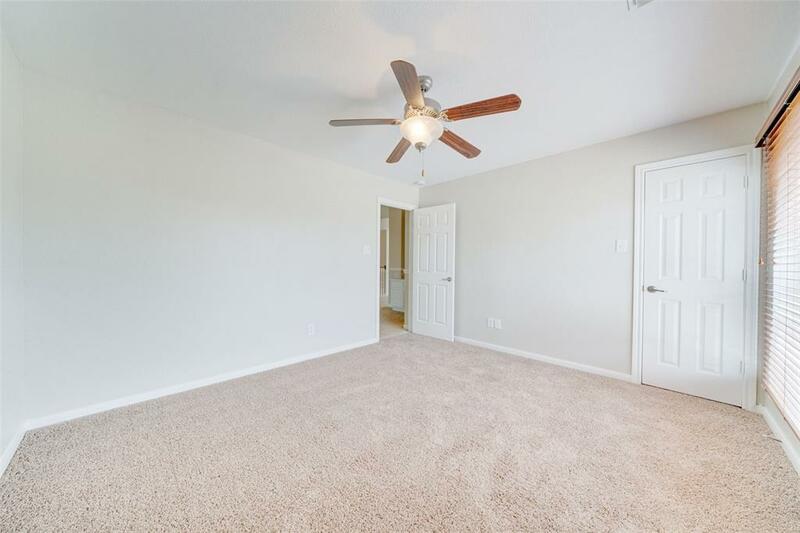 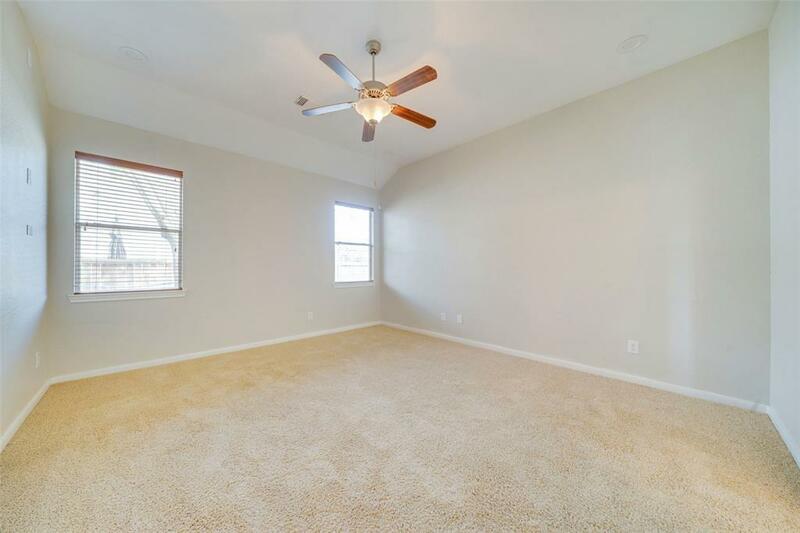 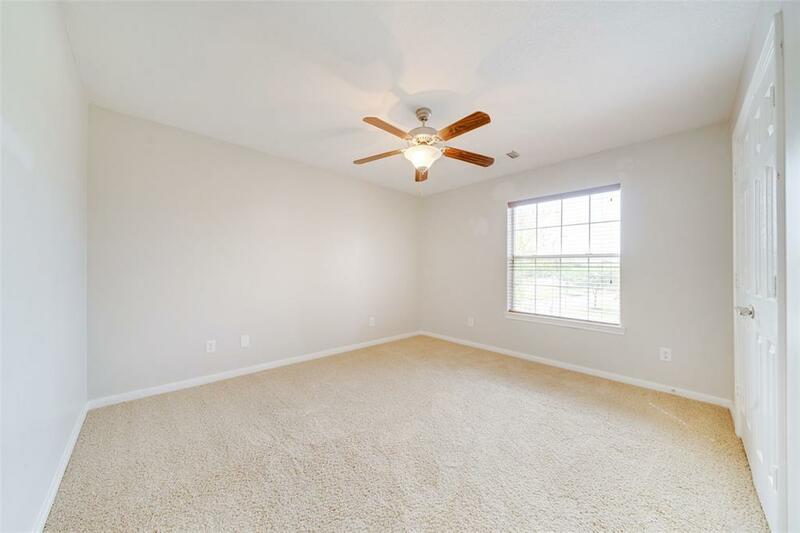 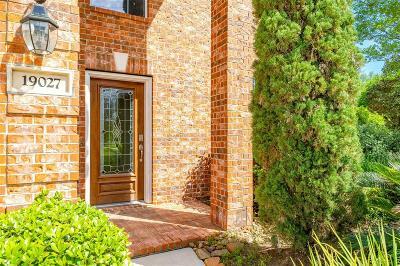 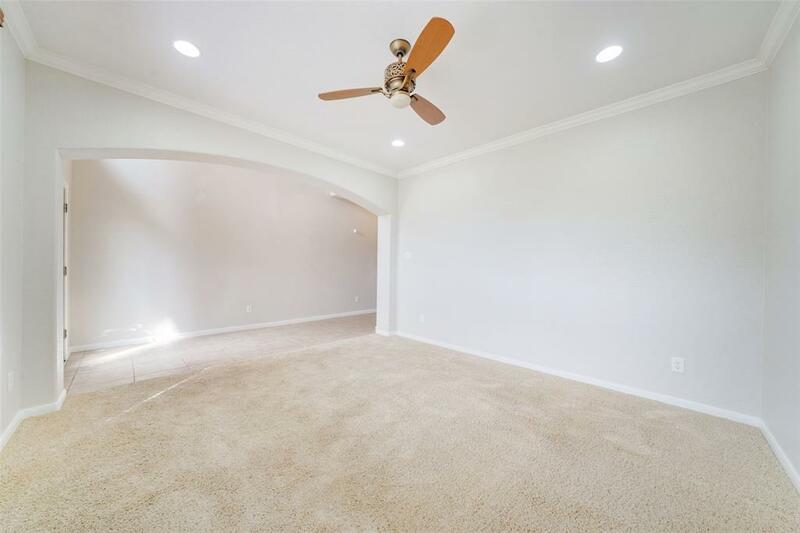 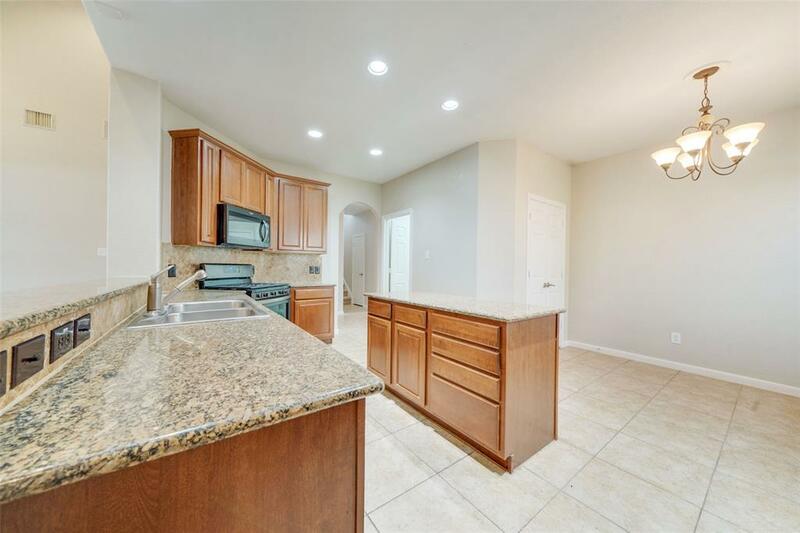 Inside you'll find fresh paints, high ceilings, a spacious living room with a fireplace and wall of windows, updated light fixtures, and a formal dining with crown molding. 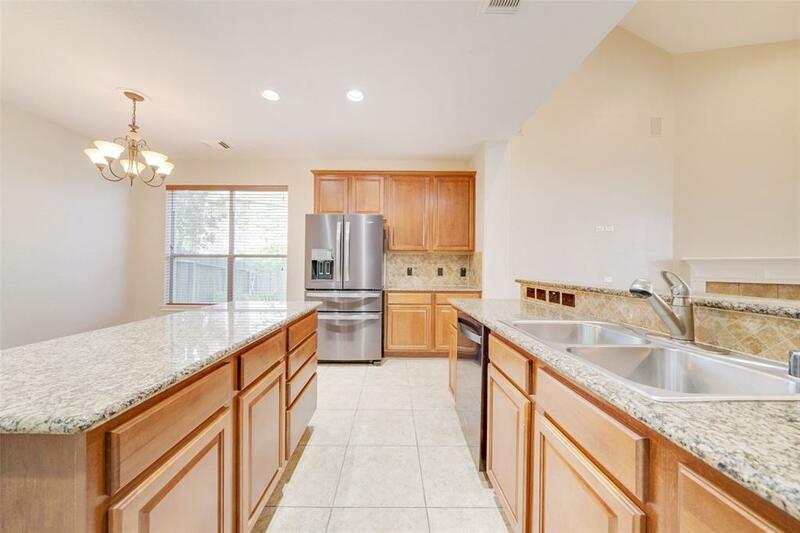 The island kitchen boasts granite counters, tumbled marble back-splash, stainless steel appliances, ample cabinet space, and a breakfast bar overlooking the living room! 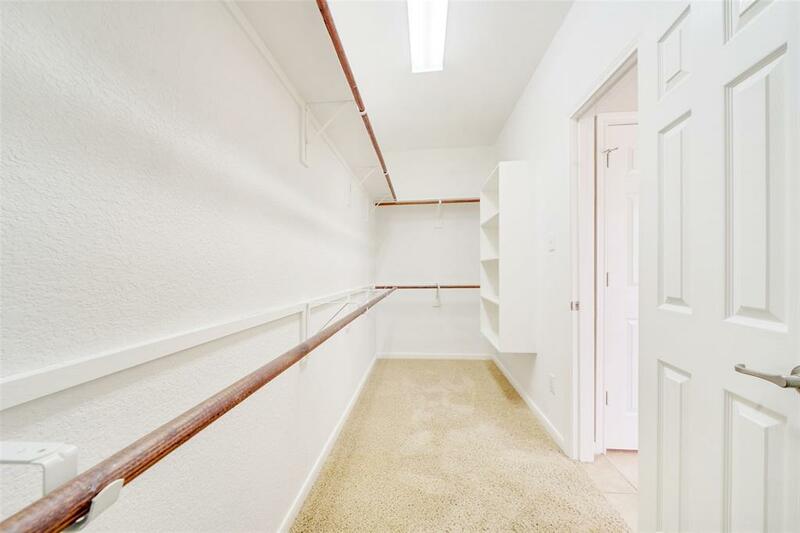 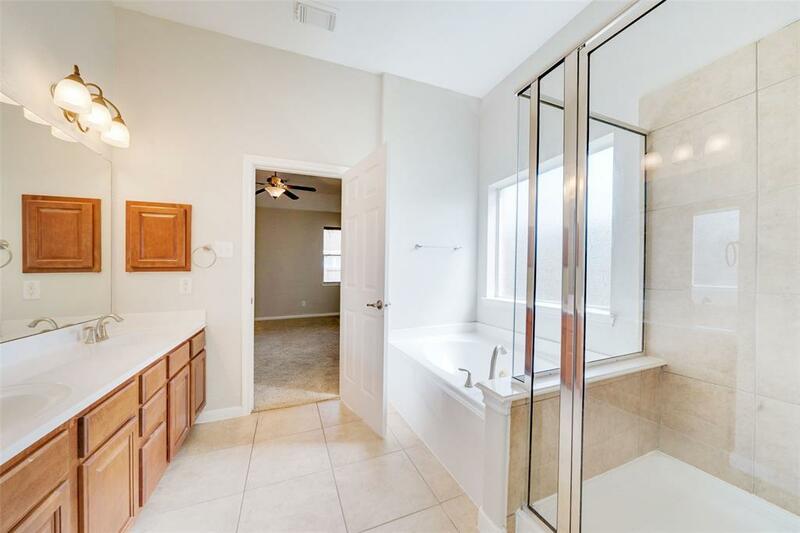 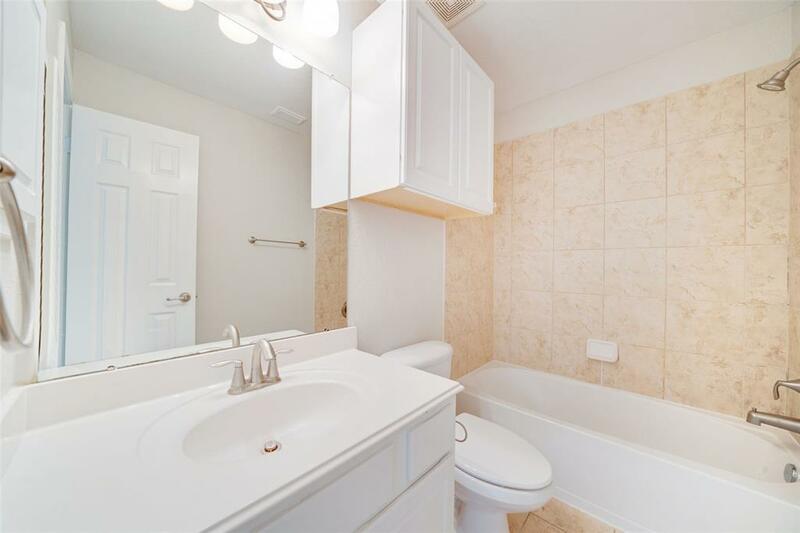 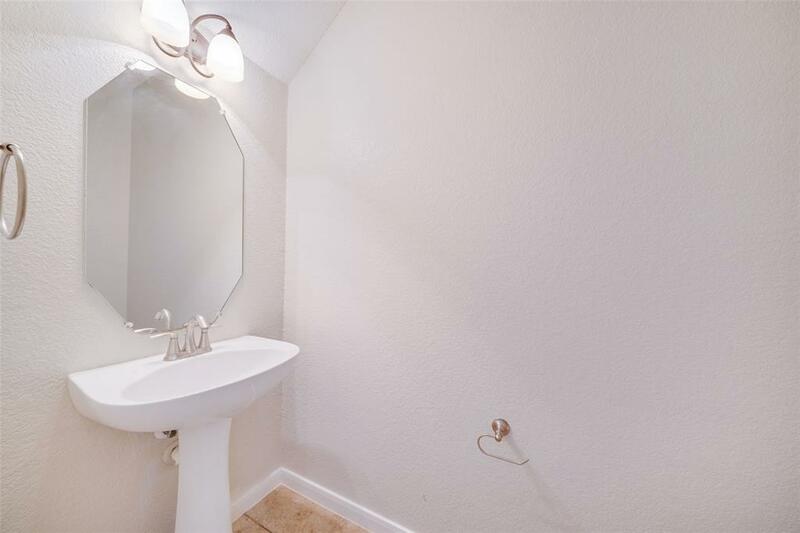 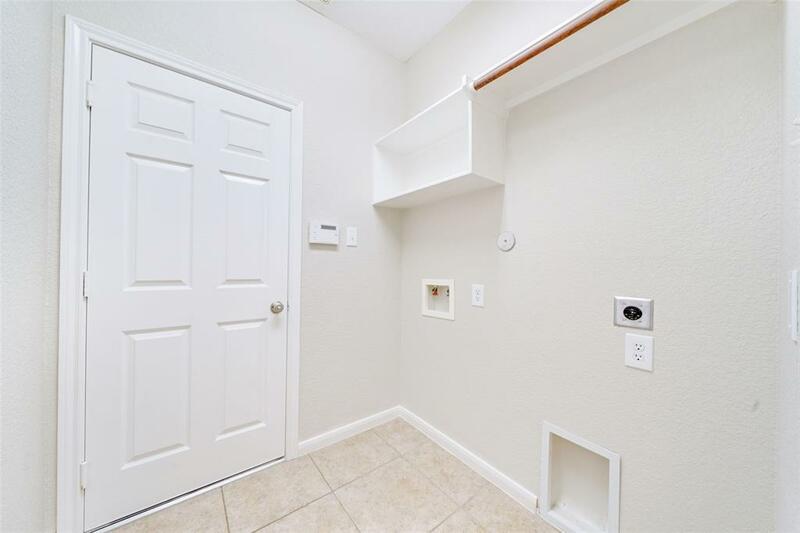 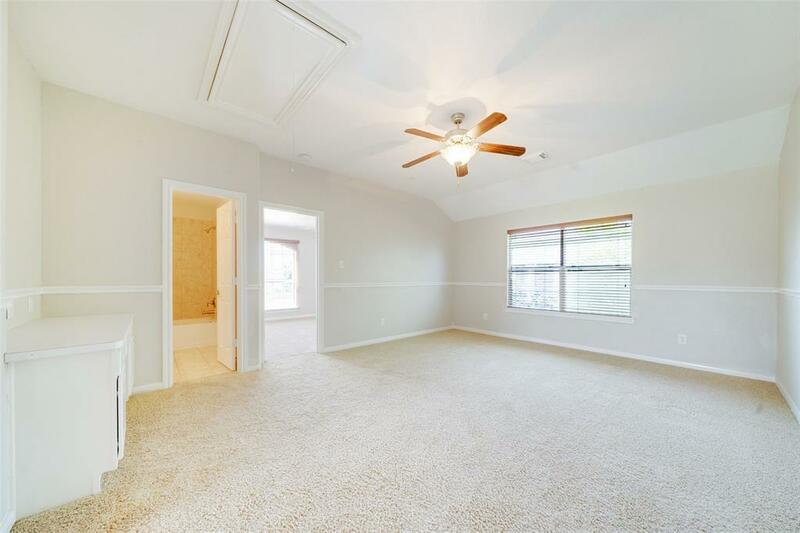 Also downstairs is the master suite which has dual sinks, a separate shower, garden tub, and large walk-in closet. 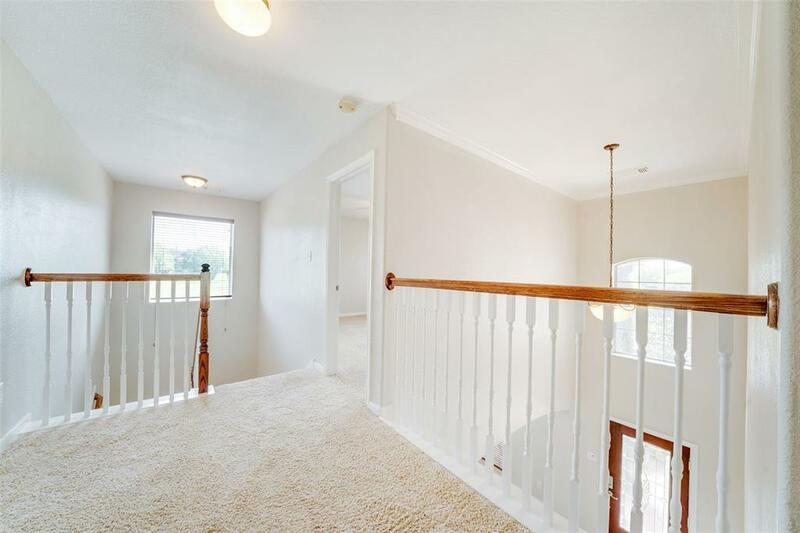 Upstairs holds the game room and secondary bedrooms. 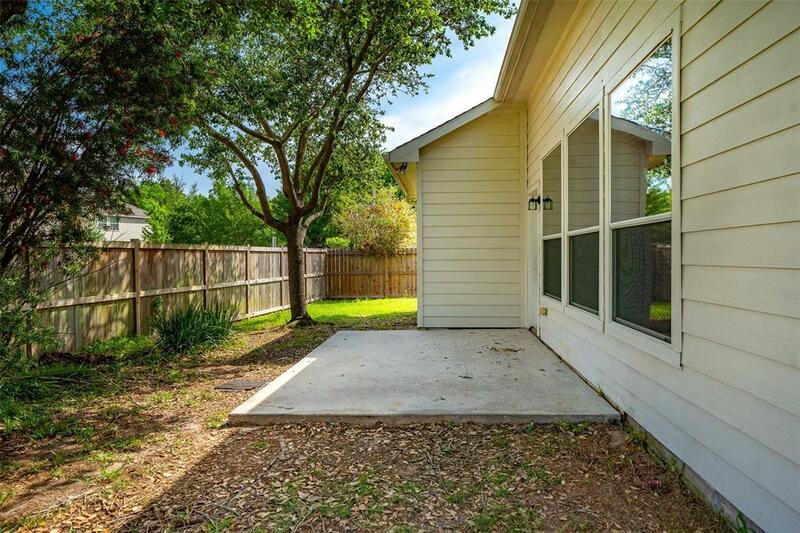 Enjoy the great backyard space with nice landscaping! 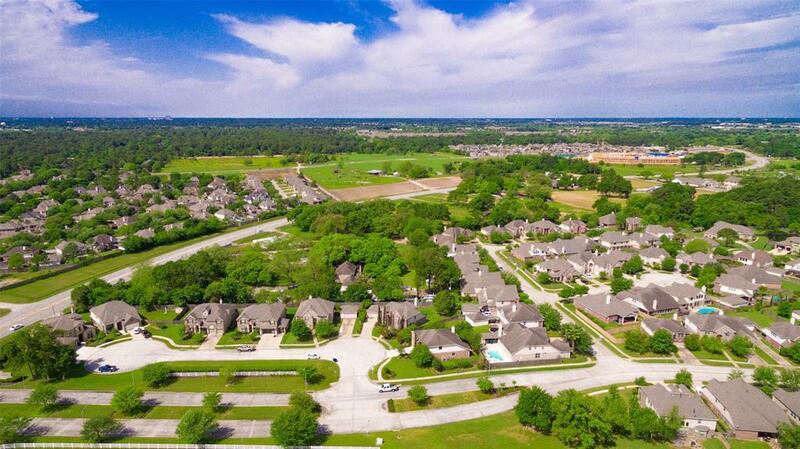 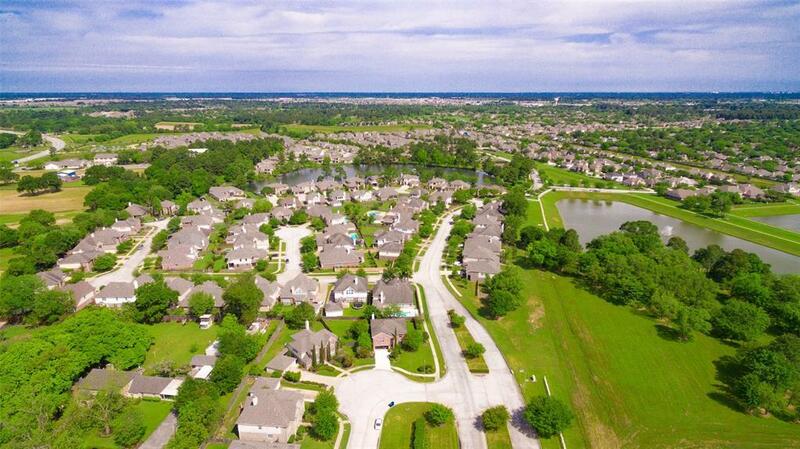 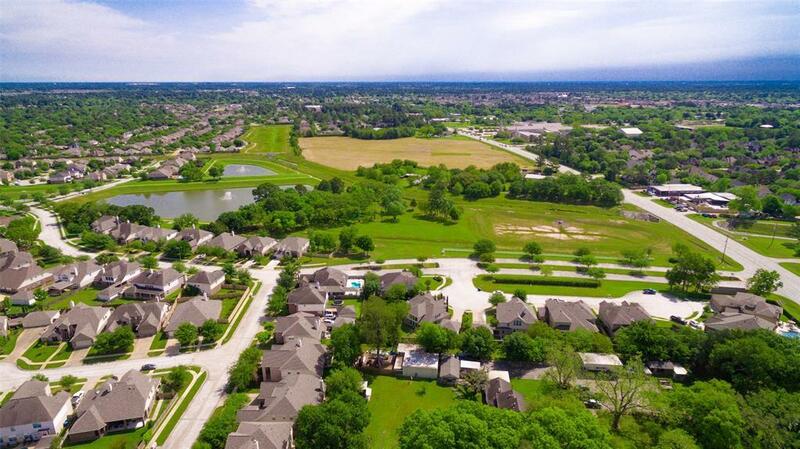 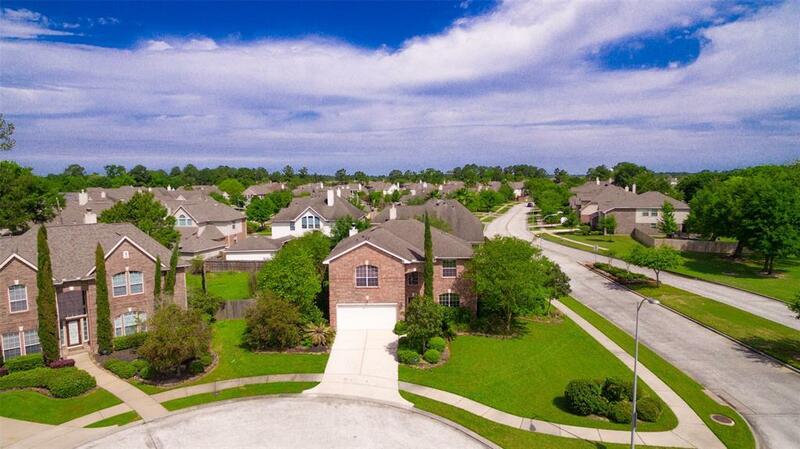 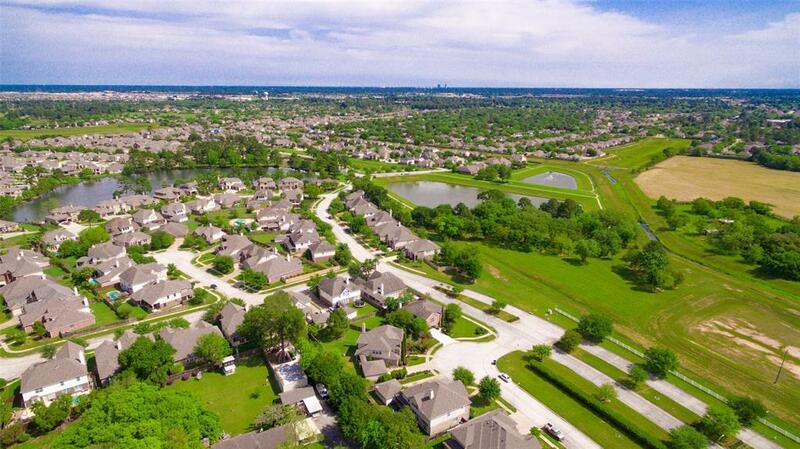 Senterra Lakes subdivision offers lakes, walking trails, a pool, clubhouse, park, and tennis courts! 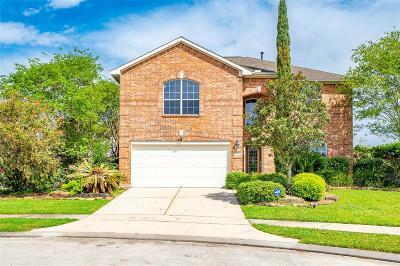 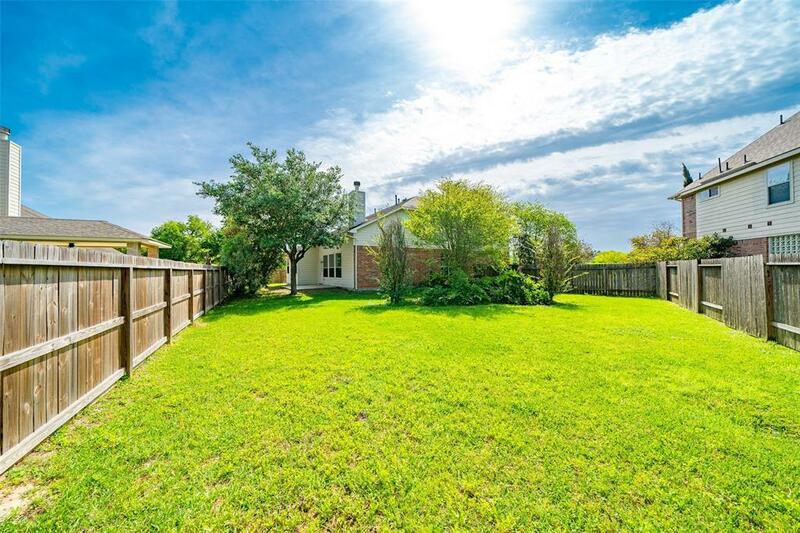 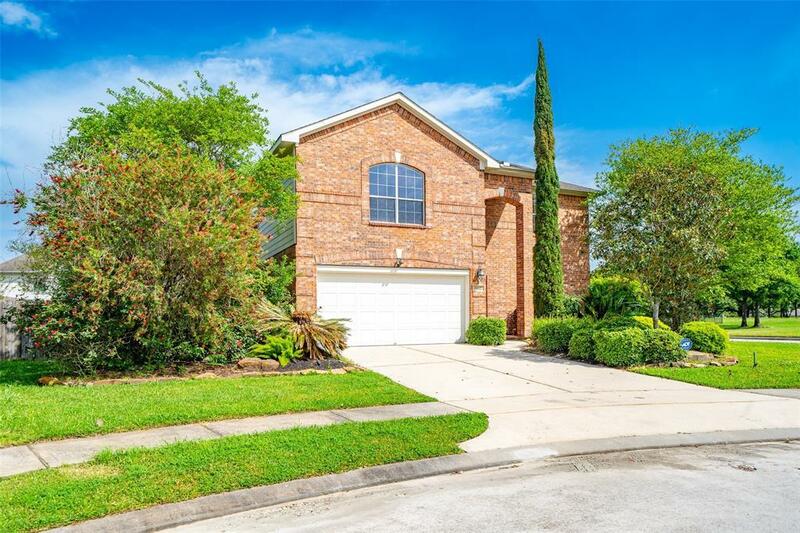 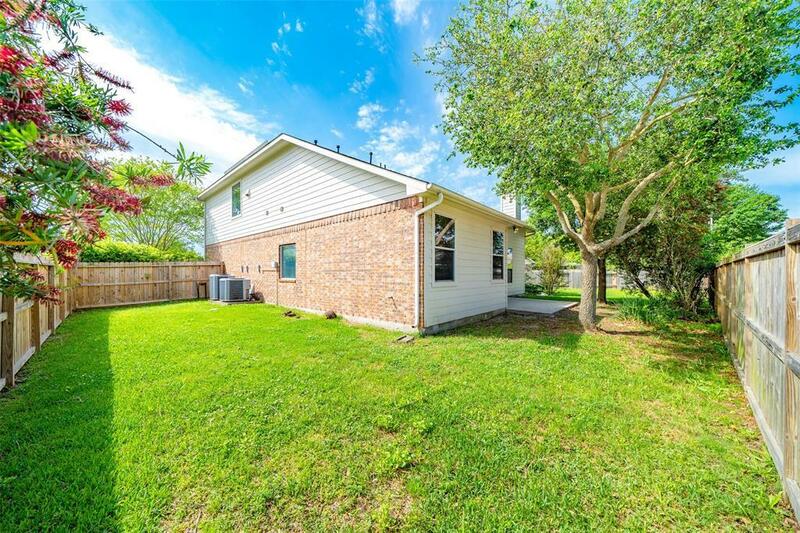 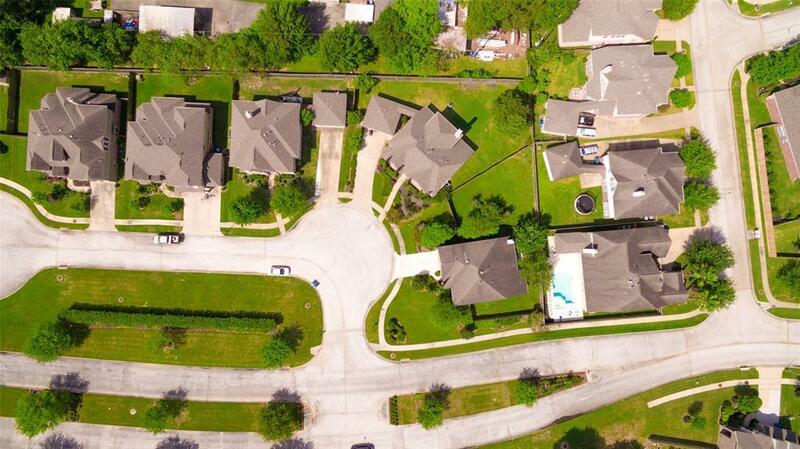 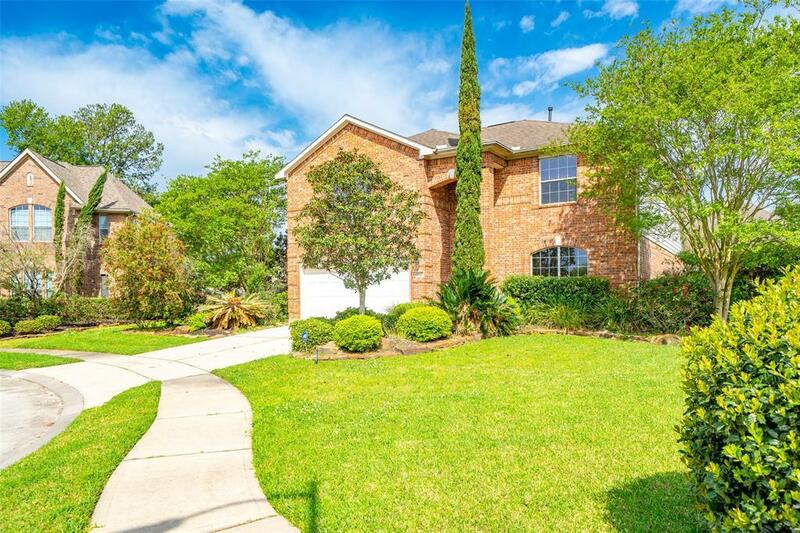 Nearby access to the Grand Parkway and I-45.